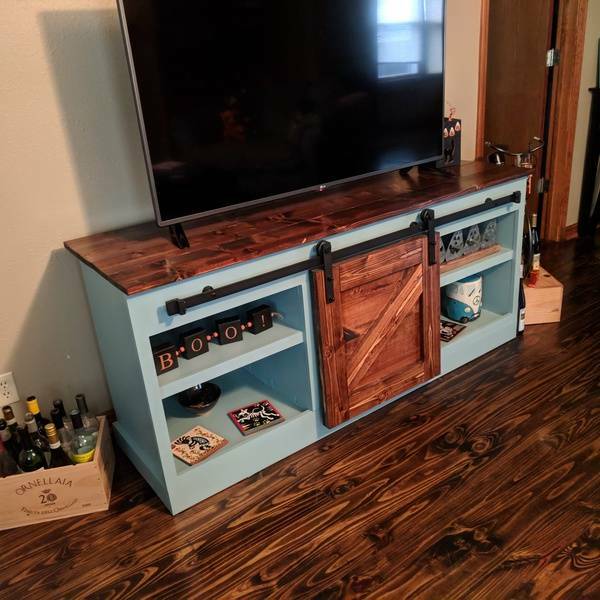 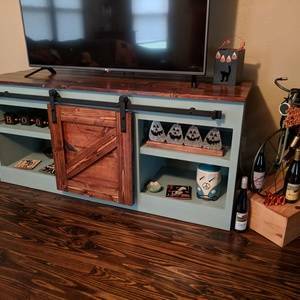 Inspired by Shanty 2 Chic's Sliding Barn Door Counsel we created a farm house style TV stand that highlights the history of our 1927 farm house home. Our sliding Barn door counsel provides the perfect place to hide all the unwanted tv gadgets while providing the character we were looking for. 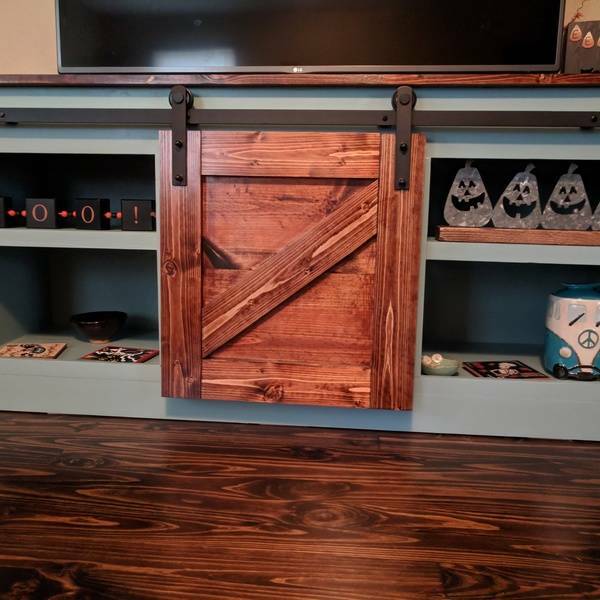 The teal color provides the perfect contrast between the dark wood top and barn door.